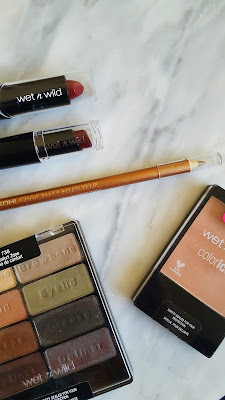 I haven't shared what makeup I'm currently loving for fall yet and when I looked through my stash I realized a whole heck of a lot of it was Wet n' Wild stuff, so I grabbed what I've been using to show you guys what I'm loving right now. This lipstick in the shade Dark Wine is just that, a beautiful sangria colored lipstick that costs a buck. 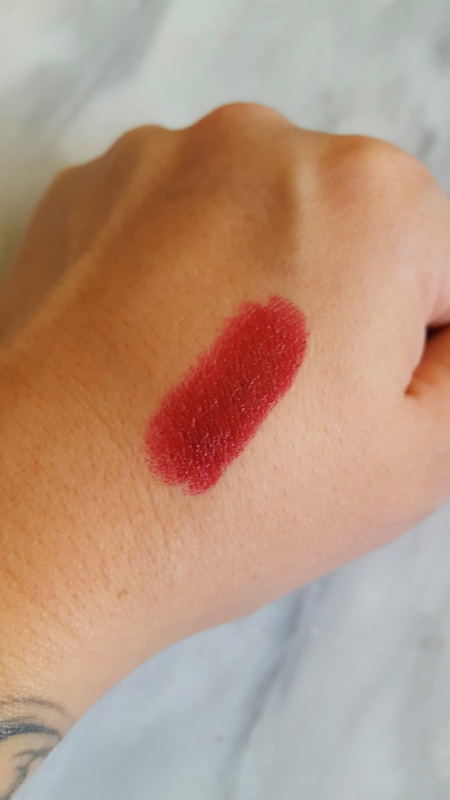 The formula is creamy and beautiful, a steal for such a gorgeous autumn color. 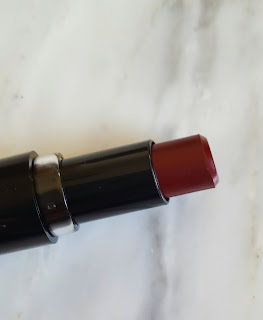 This one in Cherry Bomb is one of my favorite colors for fall; a deep burgundy red that goes on smoothly and is comfortable to wear despite being a matte. 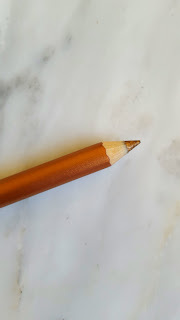 At only $1.50 you really can't beat the pigmentation and quality. These two reds will seem me through the colder months. 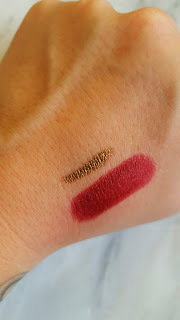 One of my favorite color combinations is berry and gold, like above, and the bronzy eyeliner is perfect paired with top two lippies. 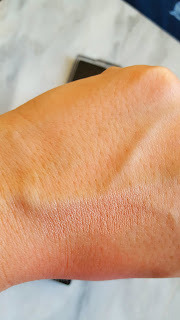 It's in the shade Pros and Bronze and I love how creamy it applies. It's gorgeous in the waterline or even smoked out on the lid for a gorgeous bronze glow. Since I always go bold with my lips and eyes in the fall, I love to keep my cheeks neutral so I love Champagne Rose for a healthy glowy look without being too in your face. Super gorgeous and super affordable. 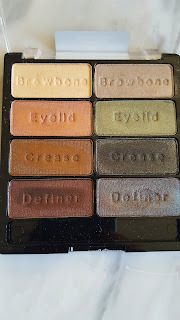 This palette in Comfort Zone is so pretty for this time of year. 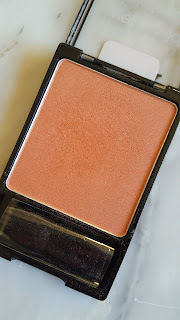 There are so many deep, gorgeous colors and so many different ways to wear it, I'll definitely use this again and again for the next few months. 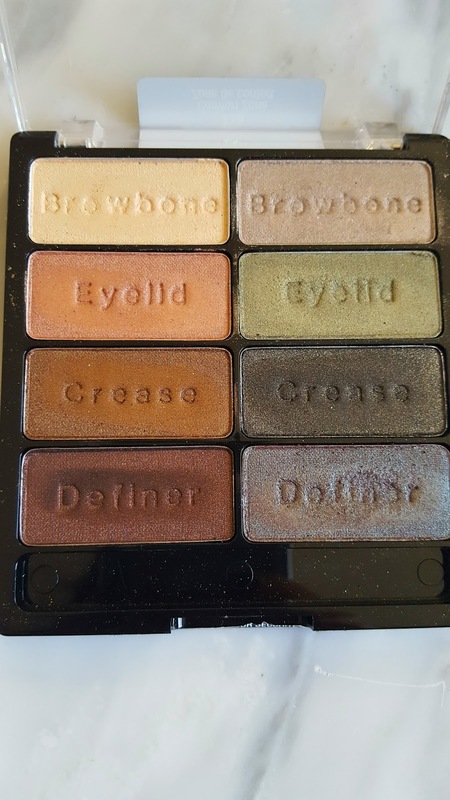 I featured swatches on this palette here. You would love LA Colors Matte Palettes. Brown Suede is my fave! I love the wet n wild lippies. They are so good. Sooooooooo good! Thanks for sharing your fall makeup Kim! 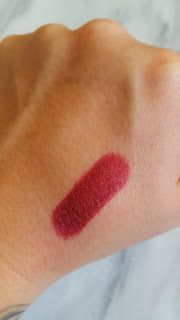 I love the lipstick in the deep wine color. 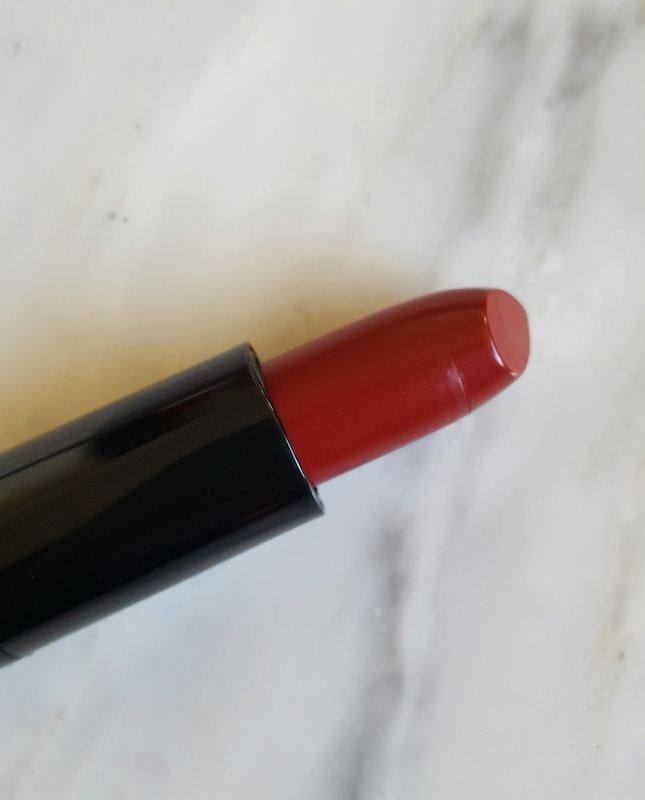 It would be perfect for me as I find that I am wearing a lot more red lipstick for fall. The palette is also lovely! I hope you're having a fantastic weekend! Oh my goodnesssssss...all of these colors are so beautiful. I have to get some of that first lipstick. Thanks for sharing Kim!